We use dental implants to perfectly mimic one of the most important elements of your tooth, the root. The root is one of the most important parts of the tooth, especially when it comes to the stability and viability of the tooth. In addition to providing permanency and nutrition to the tooth, the root has a critical cooperative relationship with the jawbone. As we replace a lost tooth, it is important that we mimic both the relationship that the tooth has with the jaw, and the stability the root provides to the new dental crown which is essentially the same as a new tooth. To do this dental implants use a tiny titanium prosthetic which is placed, in most cases, directly into the jaw bone. The end result of this procedure is that you have a tooth that looks, and functions, exactly like the teeth surrounding it. Most people love the idea of the convenience of dental implants since they do nothing to alter your way of life, including allowing you to eat whatever you want and could normally eat with naturally occurring teeth. They are extremely easy to maintain and do away with trying adhesives and complications that make other prosthetics less than functional. Dental implants come in two very distinctive forms. 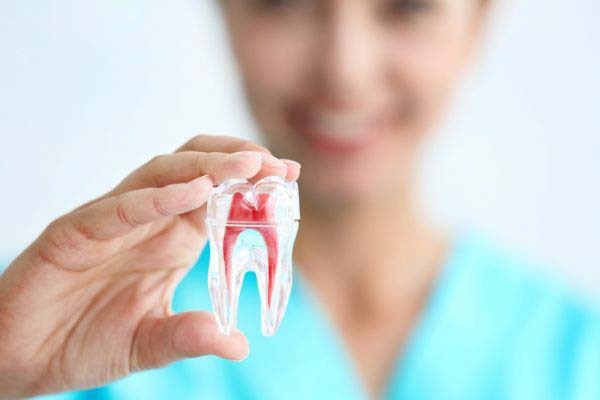 They are each uniquely crafted to meet certain criteria so that regardless of the patients' jawbone health, we can provide you with a solution. The most common type of implant is known as an Endosteal implant. 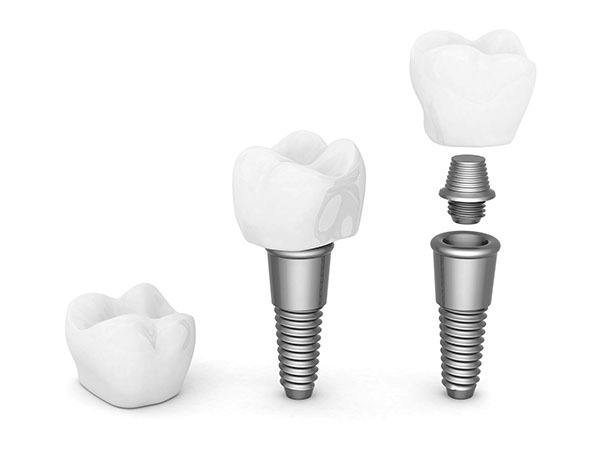 This type of dental implant is made of titanium and are typically in a cylindrical shape. Very often, they will be in the form of a screw for easier insertion. With an Endosteal implant, we will place the implant directly into the jawbone for maximum strength and to ensure a symbiotic relationship between the jaw and the implant. The prerequisite for this kind of an implant is that you need to have a healthy enough jawbone to sustain and maintain the implant. For patients who may have lost bone density, there are two solutions. First, you can undergo a jaw restoration surgery that would give you sufficient bone density and allow us to use the Endosteal implant. The second option is to use what is known as a Subperiosteal implant. A Subperiosteal implant is not inserted into the jaw bone. Rather it is inserted into the gum on top of or directly above the jawbone. This gives you the base and the stability you need without further compromising the jawbone. There are also two very unique schools of thought when it comes to the healing phase. After we have placed the implant, it typically takes four to six weeks of healing time. Based on the circumstances, we will either use the one or two-step method to allow for proper healing. In the one-step method, the dentist will simply cover the implant with tissue and allow it to heal naturally. 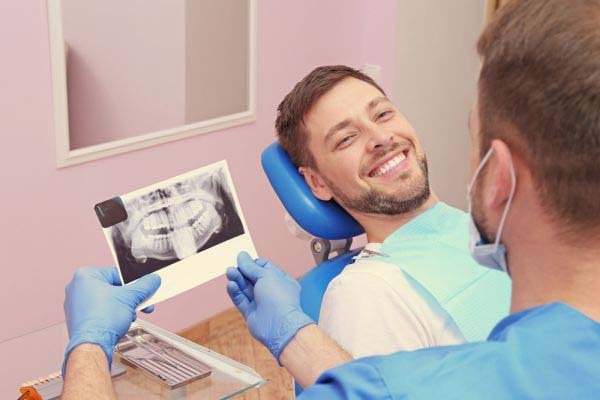 In the two-step method, the dentist will place a healing abutment over the implant, allowing for the tissue and bone to heal around it instead.